The foundation of a good closure system is the right concept: we aim to produce the best possible solution with the most economical use of materials while still meeting the most stringent requirements of bottlers – this is called lightweighting. We are always glad to advise our customers at every stage of product development, and we are happy to help you design your closure. Our aim is always to provide a closure that complements your bottle design and reduces your material costs. With us, you can order with confidence: we are known for lightweighting, and our expertise reaches right down to the smallest detail. We look forward to supporting you through every stage of the process – we can even provide training for your employees. The success of your product counts the most in our perspective. Design and functionality of the closure on your PET bottle is the result of our expertise and several iterative loops in the development process. Our focus at all times: your success with our products. How do we achieve this? Our philosophy is to produce the very best quality according to your needs and at an economically feasible price. High quality plastic closures are important above all to ensure efficient application on the filling line, safe and convenient handling by the consumer, and finally, great performance, which depends on a great closure design. Consumers use PET bottles multiple times, usually without being very aware of it. They take it for granted that the bottle can be opened and closed easily, but is still leak-proof and tamper-evident. We feel exactly the same. This is why we subject our closures to rigorous laboratory testing with regard to all the relevant aspects, be it the venting performance, the opening torque or the pressure resistance. Our customers can use our closures with confidence because corvaglia closures meet the latest requirements of the main brands in the sector, as well as those of international organizations (BSDA, ISBT, CETIE, etc.) You can rest assured that our products are tamper-evident, leak-proof and ergonomic. As a corvaglia customer, you benefit from our profound expertise across the entire value chain. We are well acquainted with the needs of both bottling companies and consumers. Every product that we develop undergoes the appropriate testing procedures in our in-house laboratories, ensuring that our closure systems meet the relevant safety and environmental protection requirements. In addition, we can support you in introducing your own quality assurance system at your production site. Closures from corvaglia are the most cost-effective solution for almost any type of bottled beverage. 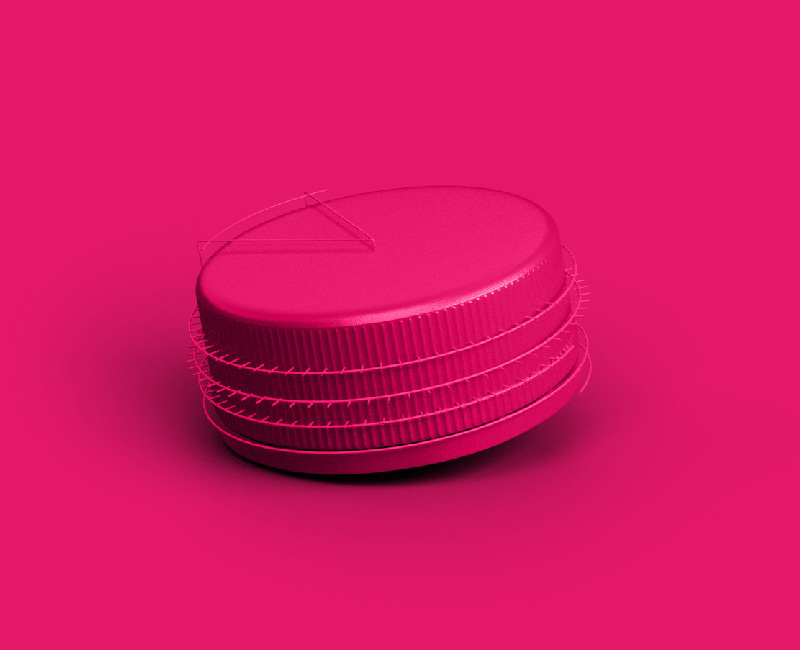 No matter whether it involves a conventional bottleneck, a wide-mouth closure, a lightweight beverage container closure or a special application, our range of caps is sure to have a solution that fits your requirements.